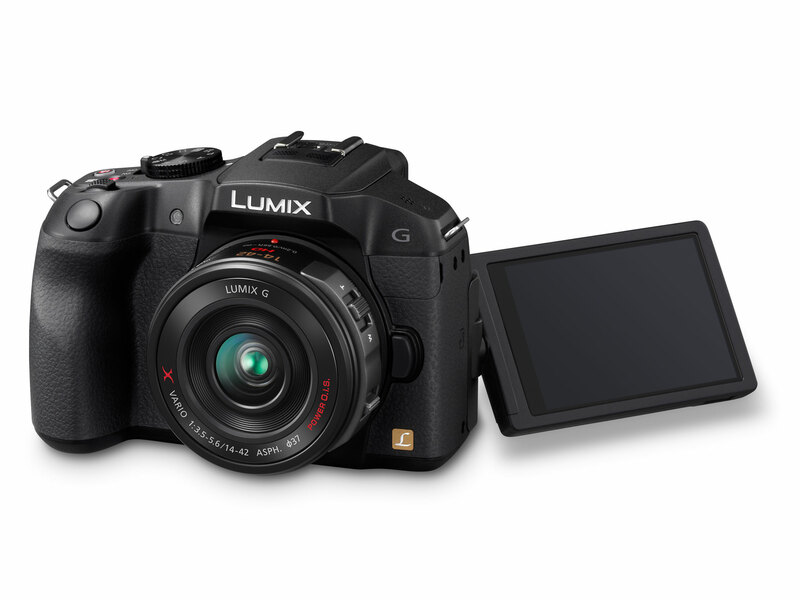 April 24, 2013: Panasonic is proud to announce a new addition of Digital Single Lens Mirrorless DMC-G6 that realizes real-to-life photo and video recording even in higher quality. The Digital Live MOS Sensor achieves high-resolution, high sensitivity image recording. The new Venus Engine is attains high-performance signal processing with the advanced noise reduction system. Combined with the high sensor performance, DMC-G6 minimizes noise and even achieves shooting at max. ISO 25600(Extended) high sensitivity image recording. The DMC-G6 boasts quick response featuring high speed burst shooting at 7 fps in full resolution. Getting ready to shoot in only 0.5 sec*1 after start-up, the DMC-G6 never misses fleeting shooting opportunities together with its high speed, high precision Light Speed AF. Newly integrated Low Light AF enables accurate focusing on the target subject even in low-lit situations. The DMC-G6 also features full HD 1920×1080, 60p (60 Hz) / 50p (50 Hz) smooth, high quality video recording in AVCHD Progressive and MP4 with stereo sound. The practical full-time AF and tracking AF is available in video recording, too. The cinema-like 24p video with the bit rate of max. 24 Mbps or P/A/S/M mode provide richly expressive afterimage with overwhelming image quality. With the Wi-Fi® connectivity with NFC (Near Field Communication) technology, users can connect the camera to their smartphone/tablet anywhere at one-touch, which makes sharing images much easier. It is also possible to use a smartphone/tablet as a multi-capable remote shutter with a monitor. With the Instant Transfer function, photos are automatically sent to the smartphone/tablet right after shooting. On the other hand, both photo and video can be archived to the registered digital equipment such as PC automatically via the wireless access point (router) at home. The DMC-G6 is not just an interchangeable lens camera but an advanced digital photographic tool full of wide-ranging attractive features for producing even more attractive artwork in camera. It incorporates Creative Panorama, Time Lapse Shot, Stop Motion Animation or Clear Retouch in addition to the popular Creative Control mode with a total of 19 fascinating filter effects. The Stop Motion Animation allows producing unique stop motion video and the Clear Retouch function enables to erase unwanted part of a picture after shooting – both operations completes with ease in camera. The new, bright 1,440K-dot OLED (Organic Light-Emitting Diode) LVF (Live View Finder) boasts excellent color reproduction and high contrast ration of 10,000:1 while the renovated 3-inch large free-angle monitor adopts In-Cell Touch technology for outstanding viewability. Offered in 3 stylish colors – black, white and silver, the DMC-G6 lets users experience high quality photo and video shooting with its stunning mobility. The DMC-G6 integrates 16.05-megapixel Digital Live MOS which boasts high resolution and high sensitivity image recording with minimum noise. Panasonic adds its original pixel mix technology to the sensor to maximize the speed advantage native to the CMOS sensor. The current process is designed exclusively for the digital Live MOS sensor to minimize the noise generation. The fine wiring around the photodiode realizes high aperture ratio, which results in high resolution and excellent S/N ratio while high performance transistor encourages high speed signal processing. The image processor Venus Engine is also newly developed to feature its advanced noise reduction systems. By extending the control level of noise, controllable area of noise is expanded by approx.64x in size. This makes it possible to remove large block of noise which was formally hard to detect and helps produce clear, smooth image especially for the nighttime scenery. In addition, the Multi-process NR (Noise Reduction) works in two separate steps allowing even finer control over noise level. The texture of noise itself, regardless of the noise size, is improved with this deliberate control, which is resulting in the reproduction of smooth human skin even in high sensitivity recording. Furthermore, the optimum design of newly adopted Detail Reproduction Filter Process enhances the limit resolution by max. 3% and the contrast of middle to high range by max. 5%. Plus, the advanced Intelligent D-range Control offers wider dynamic range while maintaining the smooth gradation thanks to the high-precision signal processing. Suppressing both blocked shadows and blown highlights, every part of an image – from dark to bright – is faithfully reproduced. The combination of the digital Live MOS Sensor and the Venus Engine achieves ISO3200 (Auto) and max. ISO 25600 (Extended). The Low Light AF in DMC-G6 gains higher performance in such as moonlight even without AF assist lamp to set focus on the subject more precisely. All cameras of LUMIX G adopt Contrast AF for its focus system. Compared with the Phase difference system AF, the Contrast AF boasts higher accuracy especially in shooting with bright lens with small F value. The DMC-G6 features high-speed Light Speed AF, making it possible to capture even the fast-moving subject clearly. Not only the accuracy but also the speed of AF in DMC-G6 surpasses the high-end DSLRs with Phase difference. The camera and the lens exchange the digital signal at max. 240 fps to minimize the time to focus. The DMC-G6 realizes the high speed burst shooting at 7 fps in 16.05-megapixel full resolution and max. 40 fps using an electronic shutter. Also, AF Tracking enables consecutive shooting to capture moving subject in sharp focus at 5 fps*2. Combined with the Full-area Touch AF, it is possible to set focus on any point in the field of view which realizes quick and intuitive focusing operation with free frame composition. In addition, the newly adopted Touch AE (Auto Exposure) function allows setting focus and exposure at a single touch on the subject displayed on the monitor. With DMC-G6, it is selectable to set focus and/or exposure according to the shooting situation. For more practical control over focusing, the DMC-G6 incorporates Focus Peaking function that shows the peak of focus in MF and AF+MF mode. The DMC-G6 incorporates high speed response desired for the digital single lens mirrorless camera, taking only approx. 0.5 sec*3 to get ready to shoot after startup. The control on DMC-G6 is smooth and easy with optimum layout of operation devices. The function lever allows direct adjustment of allotted function – zoom*4 exposure or aperture*5 control, which works for magnification in playback mode and page flip in menu. The compatibility with the UHS-I (Ultra High Speed I) SDXC/SDHC Memory Card allows faster data writing even in RAW recording mode. All LUMIX G cameras, especially the DMC-GH3, are renowned for their capability of high quality video recording. The DMC-G6 records stunningly smooth, high-resolution full-HD 1,920 x 1,080 60p (60 Hz) / 50p (50 Hz) videos in AVCHD Progressive (MPEG-4 / H.264) format. The DMC-G6 also supports 1080/24p native mode with 24 Mbps in AVCHD format bringing impressive afterimage to the footage. In addition, the P/A/S/M mode also lets users enjoy professional-like expressive video recording. The full-HD 1,920 x 1,080 60p (60 Hz) / 50p (50 Hz) video can also be recorded in MP4 at 28 Mbps, to play it back directly on the PC or other portable electronic devices without a need of conversion. In addition to the practical full-time AF, the Touch AF in video recording also lets users enjoy professional-like rack focusing. Just by pointing the subject, the focus is shifted to it and let it stand out to attract attention. The AF Tracking locks on the subject with focus even it moves. High quality sound can be recorded with Dolby® Digital. A Wind Cut function is also available to block out most of the noise from background wind. In addition to the built-in stereo microphone, the DMC-G6 is equipped with a 3.5mm terminal for external microphone to comply with serious sound recording. The Extra Tele Conversion function virtually extends the zoom range Max.4.8x without deterioration of image quality in smaller resolution. The Time Lapse Shot automatically starts recording photos at time lapse sequence once the start time, interval and the number of pictures to shoot are set. The Stop Motion Animation function enables producing a stop motion (stop frame) video in camera with the pictures that are sequentially shot while moving the object by degrees. This effect makes the object appear as if it is moving by itself. The DMC-G6 integrates Wi-Fi® connectivity (IEEE 802.11 b/g/n) with NFC (Near Field Communication) technology camera to offer more flexible shooting experience and instant image sharing with easy operation. All these flexible shooting / browsing / sharing style are made possible with the DMC-G6 and the Panasonic’s dedicated application software Panasonic Image App for iOS / Android smartphones/tablets. Users can connect the camera with a smartphone/tablet by just bringing them together. What is new is that the setup is extremely easy and finishes within a few seconds, making it possible to pair the camera directly to the smartphone/tablet without connection procedure of information input for authorization. Remote shooting of both photo and video *6 is available by using the smartphone/tablet for a remote shutter with a monitor which displayed live at smooth 30 fps. Not only releasing a shutter, zooming *7, focusing and settings of shutter speed, aperture, exposure compensation are all controllable with a smartphone/tablet. The Instant Transfer function allows the camera to transfer the photo data to the designated electronic devices automatically whenever shutter is released. In playback mode, users can also touch the image displayed on the camera to transfer it directly to the smartphone/tablet right on the spot. In addition, it is possible to tag the location information to the image by utilizing the GPS (Global Positioning System) log of a smartphone / tablet. Archiving images becomes easy. DMC-G6 transfers the data to PC or other compliant electronic devices automatically via the wireless access point (router) at home. Also, with Panasonic’s exclusive cloud service “LUMIX CLUB”, DMC-G6 can automatically synchronize images via internet with the designated devices and web services like Facebook™, Flickr™, Picasa™, Twitter™ or YouTube™. The Wi-Fi Direct™ function allows direct playback of images on the DLNA (Digital Living Network Alliance) – compliant VIERA HDTV *8. The large, bright 1,440K-dot OLED (Organic Light-Emitting Diode) LVF (Live View Finder) with approx.100% field of view in 4:3 aspect boasts excellent color reproduction and astonishingly high contrast at 10,000:1 for outstanding viewability. The display time lag is minimized dramatically compared with the predecessor DMC-G5. The image output between the LVF and the rear monitor is switched automatically with the eye sensor on the LVF, which features options of sensitivity – high, low and off – to reduce false operation during touching on the rear monitor. The new 3-inch large, approx.1036K-dot high resolution monitor rotates 180° to the side and tilts 270° up and down boasting approx. 100% of field of view. The front panel is directly attached to the new In Cell Touch LCD without containing air layer in between. The result is that the reflection of external light is dramatically suppressed. Together with the increased resolution by approx.13% and improved color reproduction by approx.20%, the monitor for DMC-G6 secures higher visibility than ever. Plus, attenuation of transmitting backlight is minimized to achieve wide angle of view and by 25% of power saving. The free-angle monitor with a touch-screen operation makes both monitoring and touching at any physical position. The touch-screen operation excels not only for shooting but also for playing back images with outstanding visibility. The Touch Pad function enables using both LVF and monitor simultaneously to encourage more intuitive shooting. The popular Creative Control mode is upgraded by increasing its filter option from 14 (for DMC-G5) to 19 (for DMC-G6) adding new Old Days, Sunshine*10 , Bleach Bypass, Toy Pop, Fantasy in addition to the conventional Expressive, Retro, High Key, Sepia, High Dynamic, Soft Focus*, Dynamic Monochrome, Impressive Art, One Point Color, Cross Process, Low Key, Toy Effect and Star Filter*10 and Miniature Effect*11 mode. Effect parameter of each mode is also adjustable. With the new Creative Panorama function, it is possible to shoot a horizontal / vertical panoramic image with consequent shots taken by overlaying the previous picture and to put on a filter effect of Creative Control *12. The Clear Retouch makes it is possible to erase unwanted objects or figures in an image by just tracing over them on monitor with a fingertip. They naturally disappear without destroying the image. For beginners of digital interchangeable lens system cameras, iA (Intelligent Auto) mode supports taking beautiful pictures with a variety of shooting-assist functions including AF Tracking, Intelligent D-range Control, Intelligent Scene Selector, Face Recognition and Intelligent ISO Control. The Intelligent Scene Selector now integrates Food Recognition mode. It detects food on the dish and captures it to look delicious. The iA Plus mode lets users adjust defocusing area in the background, exposure compensation and white balance for more flexible control. The Scene Guide*13 offers 23 sample pictures shot by professional photographers. Users can choose the one closer to the situation they are going to shoot and optimum parameters for shooting the scene will be automatically set. Furthermore, shooting procedure, technical advice and recommended interchangeable lens for the scene can be shown for users to learn photography. The DMC-G6 features compact, easy-to-use design integrating useful built-in flash(GN 10 ISO160･m / GN 8 ISO100･m). Dispelling impression for conventional big, heavy and colorless DSLRs, the DMC-G6 is available in black, white or silver to match the user’s preference. *1 With H-FS1442A, based on the CIPA standard. – Maximum time to record motion pictures continuously with [AVCHD] is 29 minutes 59 seconds in Europe and some Asian areas. – Maximum time to record motion pictures continuously with [MP4] is 29 minutes 59 seconds or up to 4 GB.